Rampage Universal Truck Bench Seat Console is ideal for keeping your truck neat and organized. It has a large rear storage area with a built-in CD Cassette holder, and front storage area to hold cell phones, glasses, tissues, and other small items Can be used for rear seat area to organize clutter. The dense foam padded armrest gives greater comfort and longer life. Special bottom mount strap allows for center seat belt mounting. 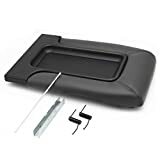 Replace your worn-out, cracked, broken down Center Console Lid with OxGord's auto aftermarket and OEM replacement parts & accessories.Center Console Lid Kit replaces OEM part # 19127364 for 1990-2007 Silverado, Avalanche, Suburban, Sierra, Yukon, and Escalade trucks and SUV's.Hear the silence: We utilize high-end foam so the lid will securely fit in place while reducing and eliminating unwanted noise.Easy to install: Watch the video above for an easy tutorial and walk through of the installation process. 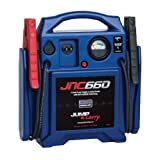 You can easily remove the old part and install the new one onto your vehicle in 5 minutes or less.FEATURES:- 17.5"L x 12"W x 2"H inches.- Top padded lid- Bottom lid cover- Built-in foam technology- Variety of colorsWarranty: 1-year limited manufacturer warranty.The shade of color may vary slightly.Fasten installation hardware tightly for secure fit.We sell a variety of exterior & interior products for cars, trucks, vans, SUV's, ATV's, UTV's, and motorcycles.Please see other OxGord products to fulfill all of your automotive part & accessory needs. Plug N Go Powered High Profile Center Console – OEM Design complements the factory interiors of minivans, pick-up trucks and SUV’s with 8.25” minimum clearance between the bucket and captain seats. 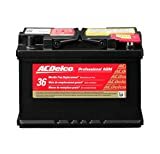 Provides an array of features that give any vehicle additional storage and organization, with the added feature of providing a power outlet to the back seat for operating or charging electronic devices. Plugs into your existing cigarette lighter. Includes Slide-N-Hide drawers that are perfect for a wallet, checkbook or keys. The main storage area locks for your protection, automatically illuminates when opened, and has the largest internal storage available on any aftermarket console (9”H x 14”L x 6.5”W). Built in front and rear deep multi sized cup holders with multiple storage areas for phones, GPS, MP3 and sunglasses. Manufactured in the USA to the highest quality standards from durable plastic resins. Patent # 430,535. 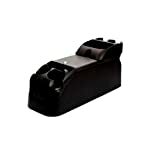 Fits on the floor or seat of most cars, trucks, vans or SUV’s with an 11” minimum between center seat belts. The original molded console that set the standard for the rest of the industry. Every feature is fully functional including a padded armrest for added comfort and a skirted bottom for a completely finished look. Two deep multi sized cup holders. Manufactured in the USA to the highest quality standards with a factory look leather texture finish on durable plastic resins. 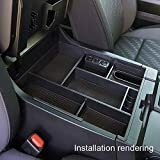 Why choose Seven Sparta center console organizer for Chevy/Chevrolet Tahoe Silverado Suburban GMC Sierra Yukon 2015-2018? 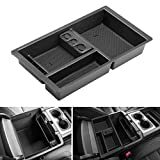 This insert tray divides your center console into upper and lower layers, let you can put more things, store items according to your need, keep things organized and quickly find what you need. 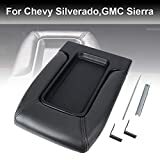 Fitting Chevy or GMC inner armrest likes a glove box as original factory look, including Chevrolet Tahoe, Silverado, Suburban and GMC Sierra, Yukon. Your console will not only be completed and far away from sliding around, but also the room is enlarged for your placing stuff. 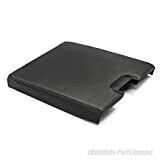 Package also comes with 3 pcs of removable rubber mats to help you cleaning the console easily and quickly, if you are bored with the noise of collision of stuff and console organizer, the rubber mats must be your necessity. Packing include : 1* Center Console Organizer Tray 3* Rubber Pad for Anti-slip 1* Removable Coin Holder Compatibility: Only fits full console with bucket seats. 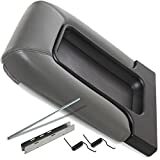 NOT for split bench seat(includes 40/20/40 jump) GMC Yukon: 2015 2016 2017 2018 GMC Yukon XL: 2015 2016 2017 2018 GMC Sierra 1500: 2014 2015 2016 2017 2018 GMC Sierra 2500HD: 2015 2016 2017 2018 GMC Sierra 3500HD:2015 2016 2017 2018 Chevy/Chevrolet Tahoe: 2015 2016 2017 2018 Chevy/Chevrolet Suburban: 2015 2016 2017 2018 Chevy/Chevrolet Silverado 1500: 2014 2015 2016 2017 2018 Chevy/Chevrolet Silverado 2500HD: 2015 2016 2017 2018 Chevy/Chevrolet Silverado 3500HD: 2015 2016 2017 2018 ADD TO YOUR CART NOW! This product is sold with a full 30-day money-back guarantee. If you're dissatisfied with your purchase for any reason, contact us for a replacement or refund. Go ahead to add the item to your shopping cart and check out, you will not be disappointed. Fits on the floor or seat of most cars, trucks, vans or SUV’s. Designed as a mid-range console with built in coin slots and multiple storage areas for phones, CD’s, GPS, and sunglasses. Two deep multi sized cup holders. Manufactured in the USA to the highest quality standards from durable plastic resins. Fit the vehicle below: GMC Yukon XL 2001-2006 GMC Yukon 2001-2006 GMC Sierra Pickup Truck Classic ONLY 2007 GMC Sierra Pickup Truck 2001-2006 Chevrolet Tahoe 2001-2006 Chevrolet Suburban 2001-2006 Chevrolet Silverado Pickup Truck Classic ONLY 2007 Chevrolet Silverado Pickup Truck 2001-2006 Chevrolet Avalanche Pickup Truck 2002-2006 Cadillac Escalade EXT Pickup Truck 2002-2003 Cadillac Escalade ESV 2003 Package included: 1x Console Lid Armrest Cover with accessory parts. 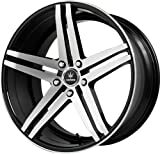 924-811, 19127364, 19127365, 19127366, 924-812Fitment: GMC Yukon XL 2001-2006 GMC Yukon 2001-2006 GMC Sierra Pickup Truck Classic ONLY 2007 GMC Sierra Pickup Truck 2001-2006 Chevrolet Tahoe 2001-2006 Chevrolet Suburban 2001-2006 Chevrolet Silverado Pickup Truck Classic ONLY 2007 Chevrolet Silverado Pickup Truck 2001-2006 Chevrolet Avalanche Pickup Truck 2002-2006 Cadillac Escalade EXT Pickup Truck 2002-2003 Cadillac Escalade ESV 2003 OE for reference: 924-811, 19127364, 19127365, 19127366, 924-812 Color: Low-key wild Black center console cover lid, Perfectly match the interior of your vehicle. 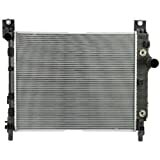 Easy to install: It is designed as direct replacement for your original part that you do not require any other instructions, then it will fit and work great. This will tightly secure your lid in place and eliminate any and all unwanted noise. Package included: 1x Console Lid Armrest Cover with accessory parts. Installation: Excellent and easy to install. Move both seats back, pry off back plate of lid, push out hinge pin from driver's side. Insert new pin into new lid and springs from passenger side.Snap on back cover and you're done. We offer life-time technical support, if you have any issues about the item, please contact us by e-mail firstly. Get tired of messy of your Tundra center console？ There must have some ways to organize all kinds of small items. YEAH!!! Choose JDMCAR and we will keep you organized! ORGANIZE YOUR SURROUNDINGS AND SIMPLIFY YOUR LIFE! GOOD CHOICE OF CENTER CONSOLE --Designed for exact fit, this organizer transforms the tall bin into few Storage Compartments .Sorting at a glance, Easy to take and Save space. --Give small item a home! --Use Center Console tray often, Can develop good habits for categorizing items. --Waterproof, easy to clean, and completely odorless. --Categorizing items better,find easier.Smaller items can be stored with the organizer, while larger items, such as CDs, DVDs, cell phones, etc. can still be stored safe and secure. GET ORGANIZED NOW, REDUCE STRESS AND MAKE LIFE EASIER DO NOT HESITATE ON BUYING ①This is a must have accessory if you have a 2014 - 2019 Tundra ②Packing include - 1 set of tray with non-slip rubber pad ③Style is the same as shown in the pictures. ④Click Add to Cart and Order it from JDMCAR, Fast ship by FBA from US . ⑤Efficient service-we offer lifetime support and 24 hours customer service.If you have any question about this product,please email us first and we will solve your problem asap. It is a RISK-FREE purchase you should not pass up.